We have a number of exciting updates to share; We’ve begun on site installation of our new Fort Collins experience, our CEO Ethan Bach and CSO Paul Elsberg have submitted two exciting topics for this year’s Denver Startup Week and Elsberg will be leading an ongoing Hackster.IO workshop. Let’s go into detail on each. We left off last in excited conceptualization of how this project would take place. Since then the test version of our Fort Collins installation has taken wings; We’re now ready to reveal the beta version of our newest creation: An interactive audio/visual exhibit which allows visitors to create music simply by walking into the space. We achieve this with 4 Epson projectors, 6 Behringer speakers and 2 Kinect sensors mounted to the ceiling, 1 SkyLake 6700 Quad Core and 1 Lenovo ThinkCenter M715Q AMD Pro computer. The audio/visual elements are generated through a system utilizing TouchDesigner, Processing and Max/MSP. Processing both passes data to TouchDesigner 1. Through OSC and Max/MSP and 2. Video to Spout, an inter application video program. Learning a new instrument can be difficult for a number of people. The aim of this exhibit is to provide an easier approach to musical creation, lowering the barrier to entry for visitors to participate. Based on our surveys we’ve observed a mix of behaviors among visitors of the space. Age, gender, family and group size, exhibit, etc. play a part in determining preference towards individual or group interaction, and desired amount of time spent interacting. Our vision is to bring diverse groups of people together who may never meet, all within a whole new context of creativity. Our goal is to make it as easy and pleasurable for those familiar with music to enjoy it in a new way and create an easier approach for newcomers. Housed within the audio exhibits, we aim to provide a unique gathering point for visitors to interact with each other in a brand new way. As you step inside the space waves of color glide across the floor, mirrored by traces of light dancing across the wall, beckoning you to enter. A red dot appears below your feet as you realize that your position is being tracked from above. Beats and tones are generated, waves feathering past you and into the distance. The wall ebbs and shifts to your movement on the floor. Speakers covers you with a song that is made of your movement. As more begin to follow inside, the space reacts as you create music in synchronization. On Monday, May 22nd we began the on site installation at the museum. 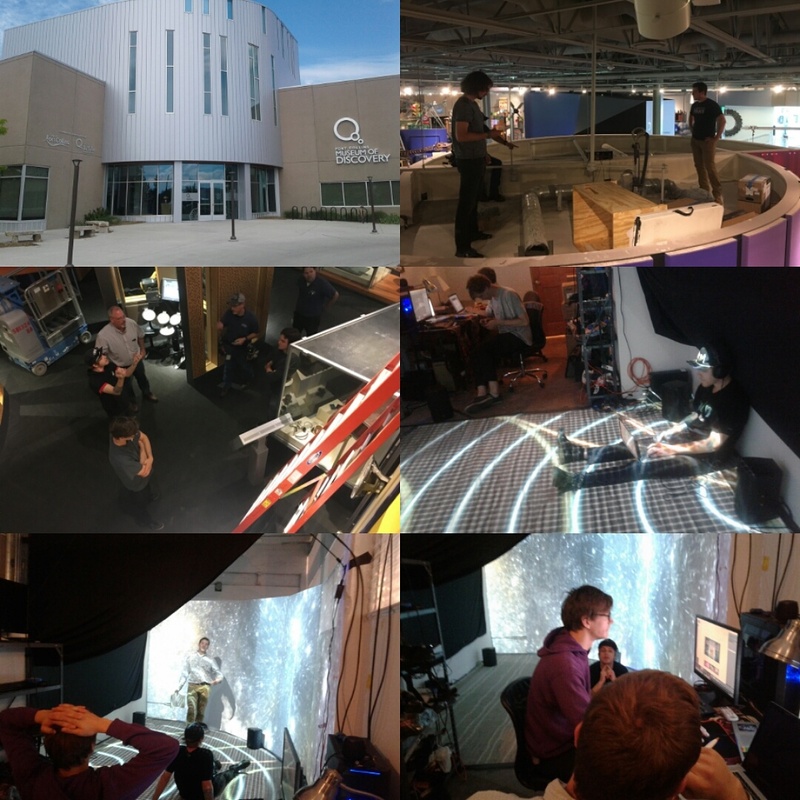 The first day entailed physical preparation of the space, placement of projectors and Kinects, and computer calibration. Today we plan to install the Behringer speakers all to create a truly immersive and interactive experience. We’re aiming for a soft public launch on June 9th. Hackster helps people everywhere learn how to design, create and program Internet-connected hardware. By bringing together our network of close to 200,000 engineers, makers and hackers, 90 technology partners, and 100 Hackster Live ambassadors, we hope to support the creation of technologies that impact meaningful issues, such as a healthy environment, wildlife preservation, and our own welfare. Both our CEO, Ethan Bach and CSE, Paul Elsberg have submitted talks for Denver Startup Week. Both are seeking votes for the opportunity to present these talks. 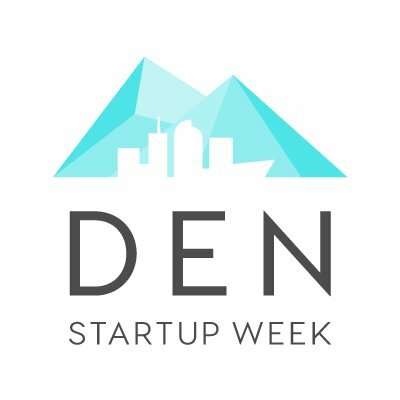 Denver Startup Week is an open week celebrating and enhancing entrepreneurship beginning September 25th which we are proud to be a part of for our second year. Designing with Art and Technology for Local Communities!